You may get involved in a charitable event because you want to support the organization that the money is being raised for. You may get involved because you want to accomplish something, like your first marathon or seeing how much money you can raise. You might decide you want to volunteer your time, and it may be that time is all you can give. You may want, and can afford, to donate money. Over the years, I have enjoyed participating in numerous charitable events. Some I did because I believed in the cause. Others I did because I was supporting friends in their cause. Others I did because I really wanted to accomplish the physical (and mental) challenge that came along with the event. And some I wanted to be involved in some way, any way, with the particular event. 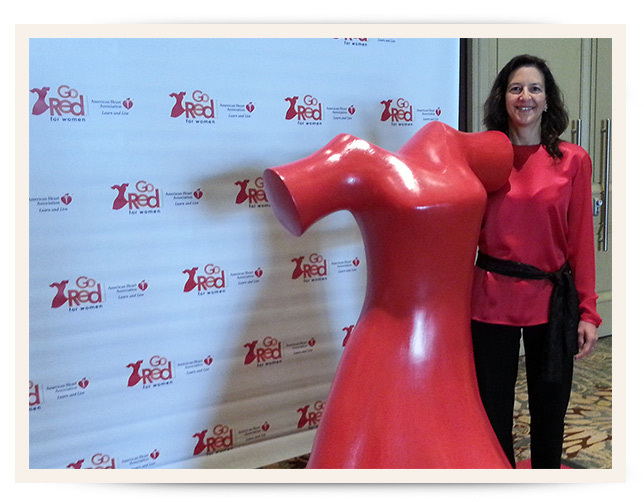 Most recently, I volunteered my time for the American Heart Association’s Go Red for Women luncheon on May 9, 2014. Most of my time was spent helping to prepare goody bags that all luncheon participants would receive and I also assisted with handing them out. I enjoyed my volunteer time and look forward to my next volunteer event. My previous charitable efforts have been diverse. My husband and I have volunteered for Pat’s Run several years, as well as the PF Chang’s Rock ‘n’ Roll Marathon. I’ve participated in several walks for the American Heart Association, City of Hope, Juvenile Diabetes Research Foundation and American Cancer Society. My most challenging charitable event was the Susan G Komen 3-Day Breast Cancer Walk. I walked in this event the first two years it was in Arizona – 2004 and 2005. This was a physical challenge, a fundraising challenge, a time challenge, and a mental challenge. The first year of the walk, November 2004, a fellow co-worker and friend of mine, Diana, committed to do the walk with me so we supported each other through every step. As a walker, I had to raise $2,000 and this scared me as much as walking 60 miles over three days. Diana and I came up with a plan for co-workers to donate at work so they could dress more casually and approached Management to see if they would allow the office to help with our fundraising efforts. We got the thumbs up and raised $4,000+. With the additional fundraising I did personally, my total for that first year was over $3,000. It turned out that the fundraising was not as difficult as I anticipated. This allowed me to focus my energy on training for the event. Let me tell you, it takes a lot of time training to feel physically and mentally prepared to walk 60 miles in three days. I walked 600+ miles during my training and got up many weekend mornings before the sun came up so I could walk before it got too hot outside. All this training paid off because I felt great at the end of the walk! That amazing feeling I had after completing the walk surely was a reason I registered to do the event the following year. Bigger than that were all the amazing people I met as part of this event. One morning a random lady kept driving by honking her car horn. Next thing I know, she parked herself at a corner and was directing us to make a right turn that wasn’t clearly marked. I learned that her 68 year old sister is a survivor doing the walk and she is at the front of all the walkers. Now, that is inspirational! It doesn’t really matter what your reason is; what matters is that you do get involved and feel good about the support you provide. You will not only feel good about the time and energy you put into charitable events, you will meet amazing people that are worth getting to know and staying in touch with.